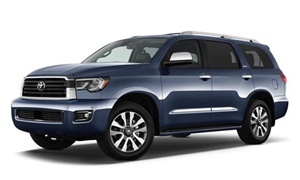 I highly recommend taking a look at the Toyota Sequoia before making a final decision. IMO, they've taken the Tahoe/Yukon formula and made it even better. 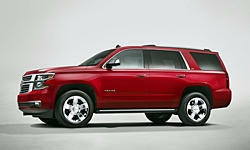 If you decide to go with one of the GM models, I think the Tahoe is the best value (and the best looking also). 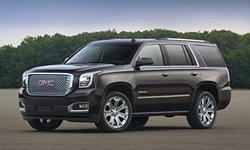 You're just paying for the 'upscale' look and features on the GMC and (especially) the Cadillac. I'm not as big a fan of the Sequoia, as it doesn't do anything as well as the GM trucks--except it's probably less likely to require repairs. With the GM trucks, they drive well for the class, but suffer from poor packaging, so there's far less space for third-row passengers and cargo than there ought to be. To read my thorough comparison of the Tahoe and Expedition, look for "Michael's Review" in the "More about" link beneath the Tahoe's photo above. My bro-in law was looking at this. Said the smaller unibody do not have enough room. Sequoia sicker too much gas. 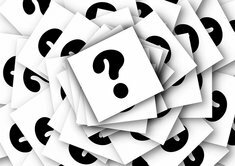 He focused in on a Tahoe LTZ with 25,000 miles for just under $50,000. 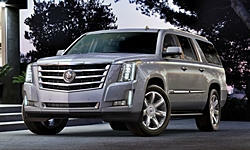 It looks like the Denali or Escalade from the side.